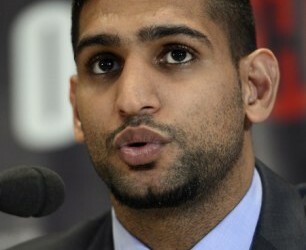 Dubai, Amer Khan is the Pakistani fame British boxer and he is now under cyber attack. He left the message on the social media account, Twitter that his mobile phone number has been hacked and it warned people not to call him on this number and they should also not send the SMS on it. He lodged an FIR against the cyber attack in the police station in Dubai. There are many leading departments of the world, which are facing the cyber attack to get the ransom from them. After the cyber attack, thousands of the computers are blocked and they demanded the ransom amount of 300 dollar bit queen to open these computers. The cyber attacks are done in about 100 countries of the world including UK, USA, Russia, China, Italy, Spain and Taiwan.